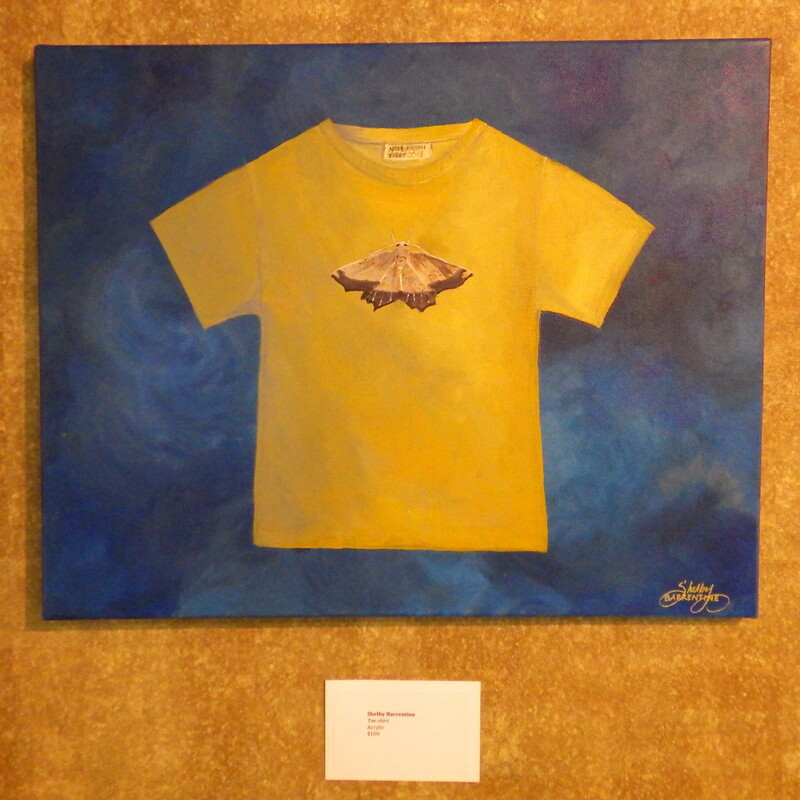 Exhibit is held in conjunction with various events pertaining to National Moth Week. 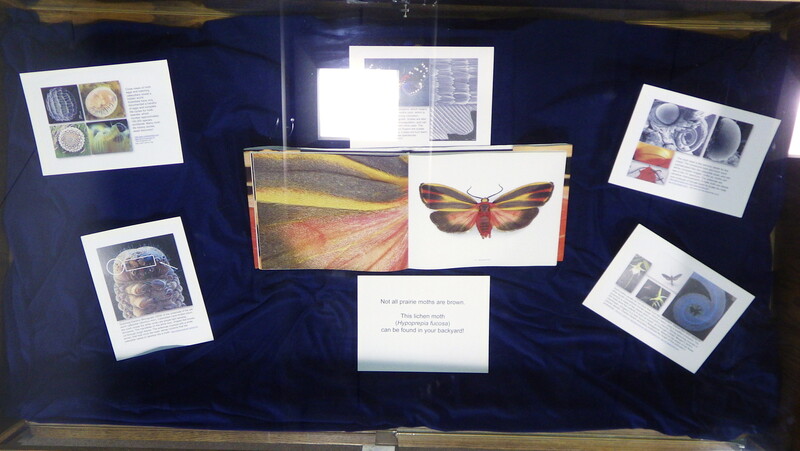 National Moth Week is a global celebration of moths and biodiversity. 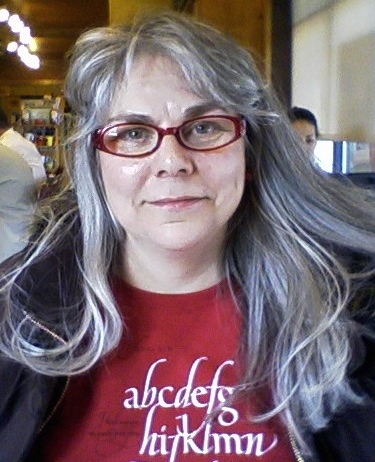 • links to YouTube videos of moths and more. 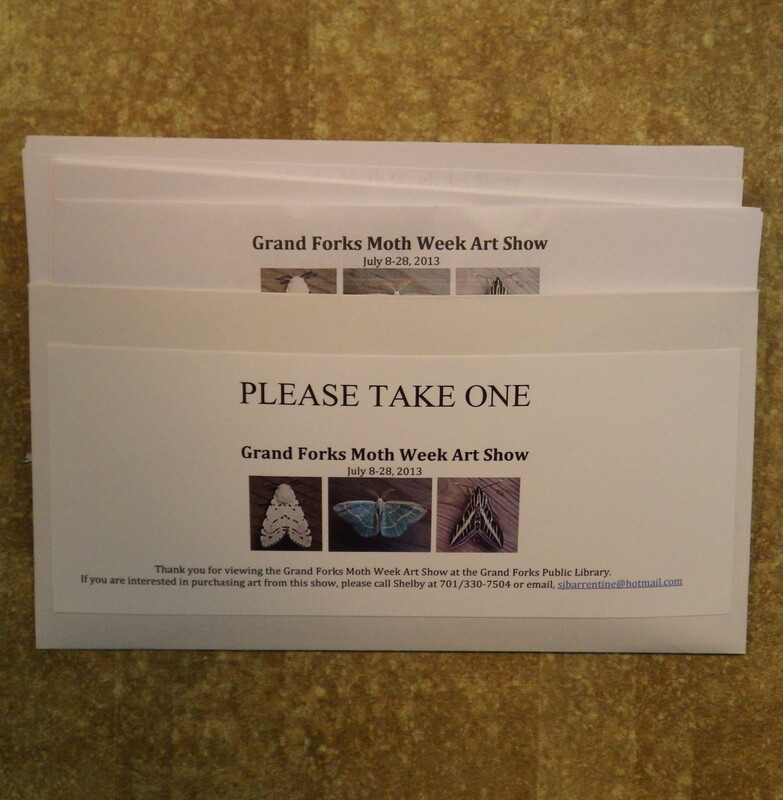 This agreement is entered into by Shelby Barrentine (organizer for the Grand Forks Moth Week Art Exhibit) and ______________________________________________________, herein after called the exhibitor. 1. 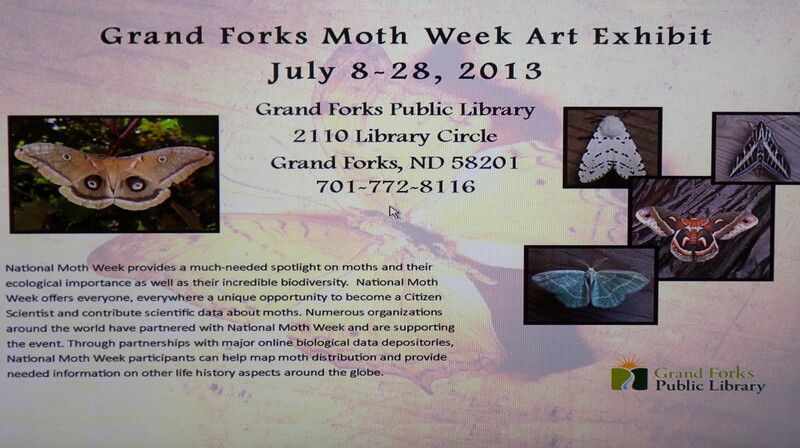 Exhibition Title: Moth Week Art Show to be held at the Grand Forks Public Library. 3. Opportunity for sales. 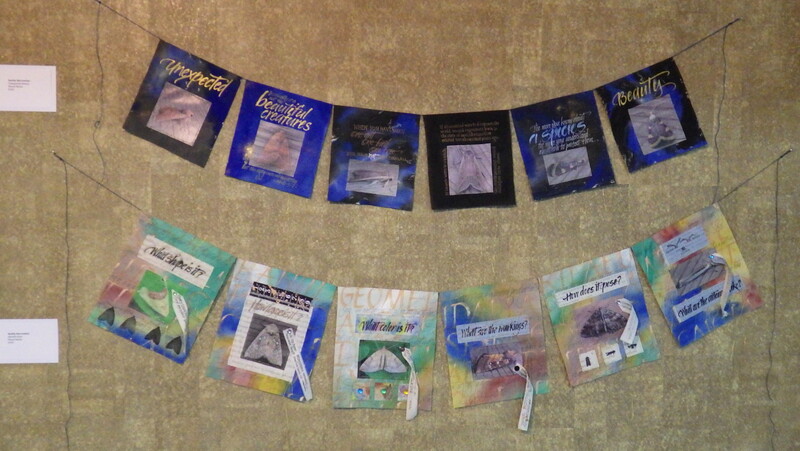 Sales will be handled by a third party, the Third Street Gallery (310 Kittson Avenue, Grand Forks, ND 58201). Their commission is 35%. 1. Shelby Barrentine and/or Grand Forks Public Library are not responsible for damage or theft. 2. 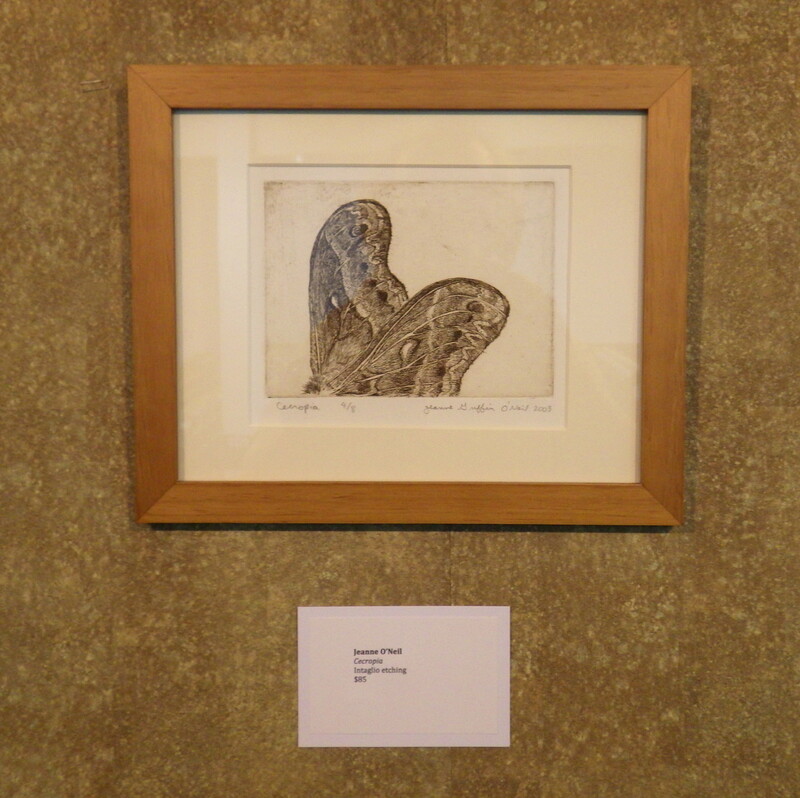 Payment for sales will be mailed within 90 days of the close of the exhibition. 3. 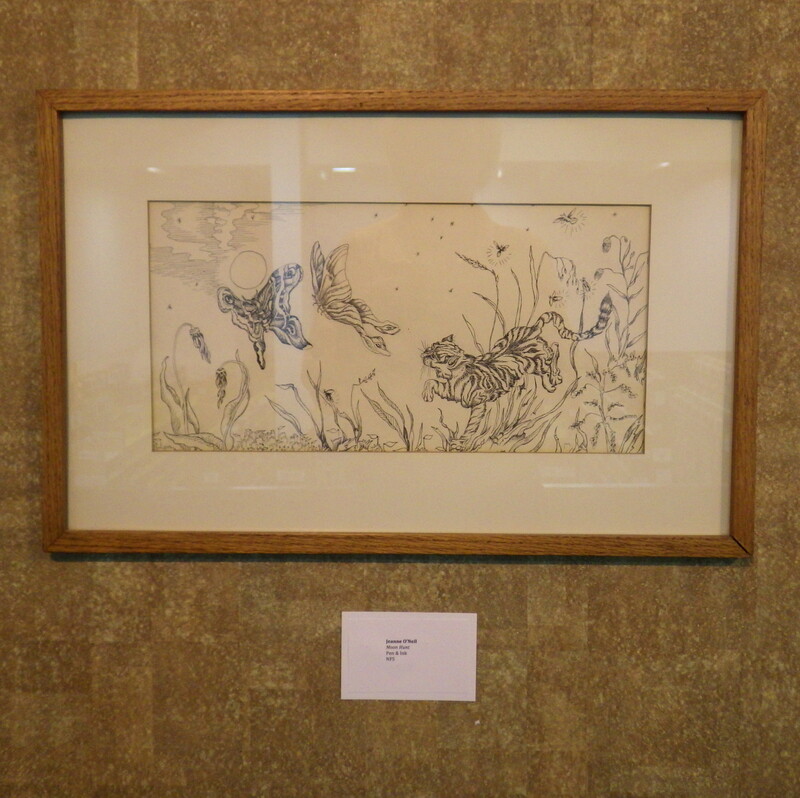 Art can be picked up 1:00-3:00 PM on Saturday, July 27 at the Grand Forks Public Library (2110 Library Circle, Grand Forks) or from Shelby Barrentine no later than Wednesday July 31, 2013 by appointment (call 701/330-7504). 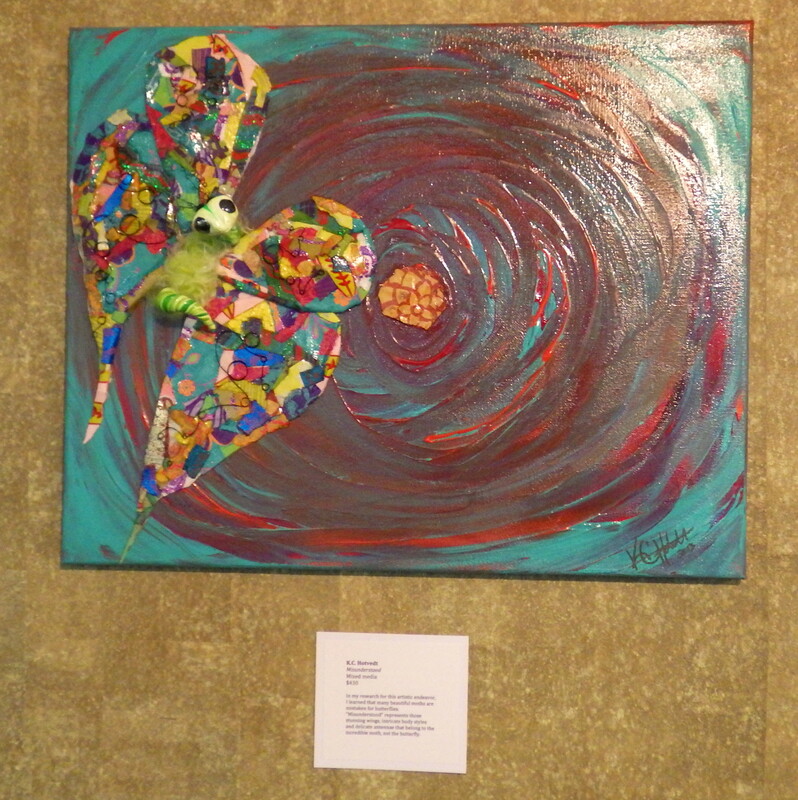 After that date, art will be donated to a local charity. The signing of this form constitutes an agreement between said exhibitor and Shelby Barrentine. Please retain a copy of this contract for your records.